Cleanses effectively and exfoliates gently. 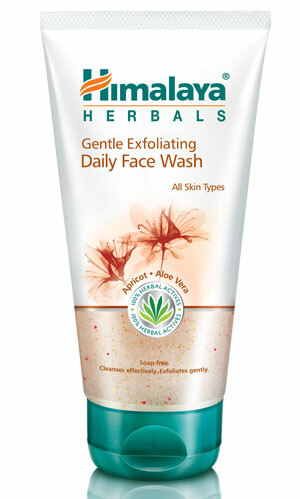 Himalaya Herbals Gentle Exfoliating Daily Face Wash is suitable for all skin types. It is a soap-free, daily-use exfoliating face wash that effectively cleanses your skin and gently exfoliates dead skin cells. Apricot granules gently scrub off dead skin cells, help stimulate fresh cell growth and prevent the formation of blackheads. Neem and Lemon deep cleanse and remove excess oil while Aloe Vera soothes your skin and maintains its natural moisture balance, leaving your skin fresh, rejuvenated and glowing, day after day. Moisten face and massage Himalaya Herbals Gentle Exfoliating Daily Face Wash all over, avoiding the delicate eye area. Wash off and pat dry.